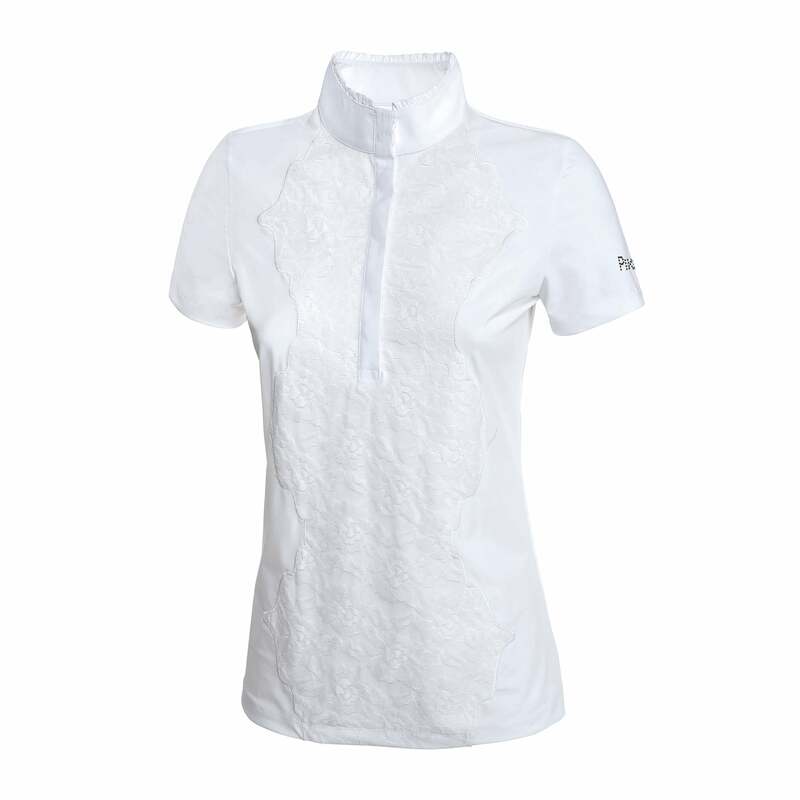 The Pikeur Malea Competition Shirt exudes elegance and is the perfect choice for dressage or other equestrian disciplines. Featuring stunning lace detailing as well as a frill edge on the stand up collar. Perfect for use with or with a stock. Made from a breathable fabric to help keep you cool and comfortable.